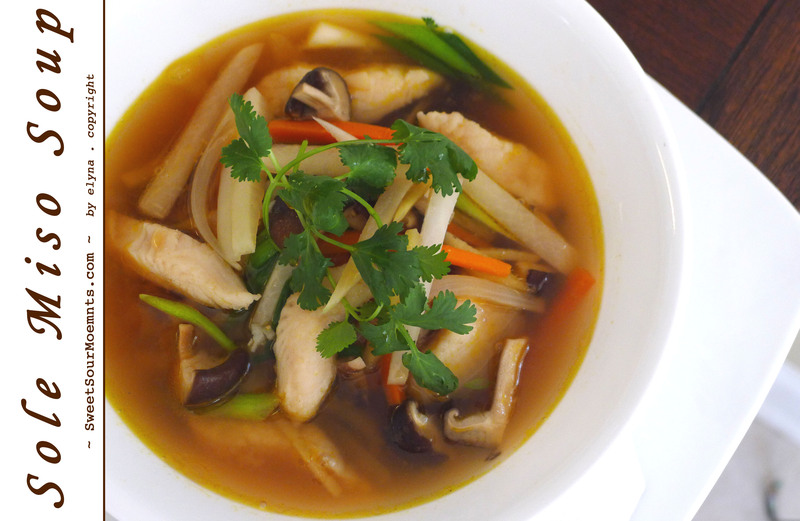 For you who like oriental culinary this soup would satisfy your taste buds unless you don’t like food with fermented soybeans. This recipe tastes rich in simple way. 1. 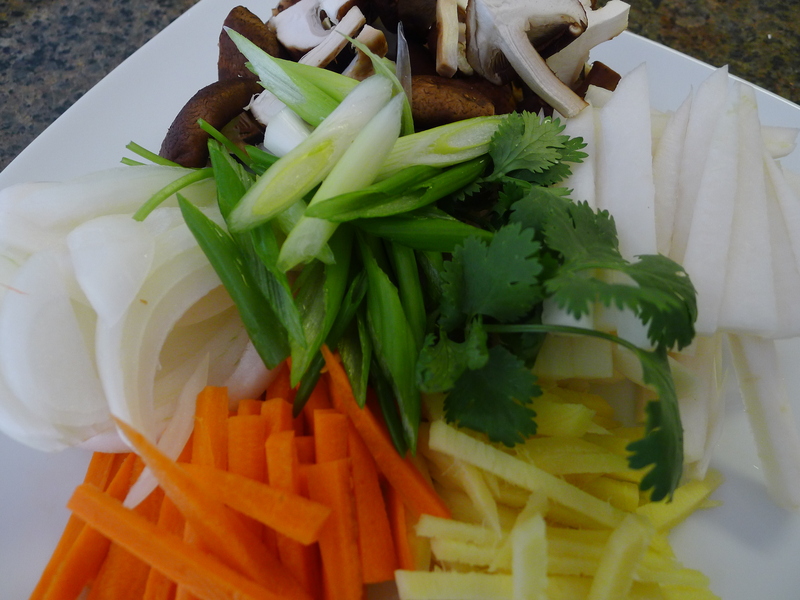 Sauté 1/2 cup sliced ginger and 3/4 cup of sliced yellow onion in 3 tbsp of heated vegetable oil, stir for 2 minutes. 2. Add 1/2 cups sliced carrot, 1 cup sliced daikon radish, 1 cup sliced fresh shiitake mushroom, stir for 2 minutes then add 4 cups of water. 3. Whisk 3 tbsp of fermented soy bean paste and 2 tbsp of soy sauce, add into the soup. 4. 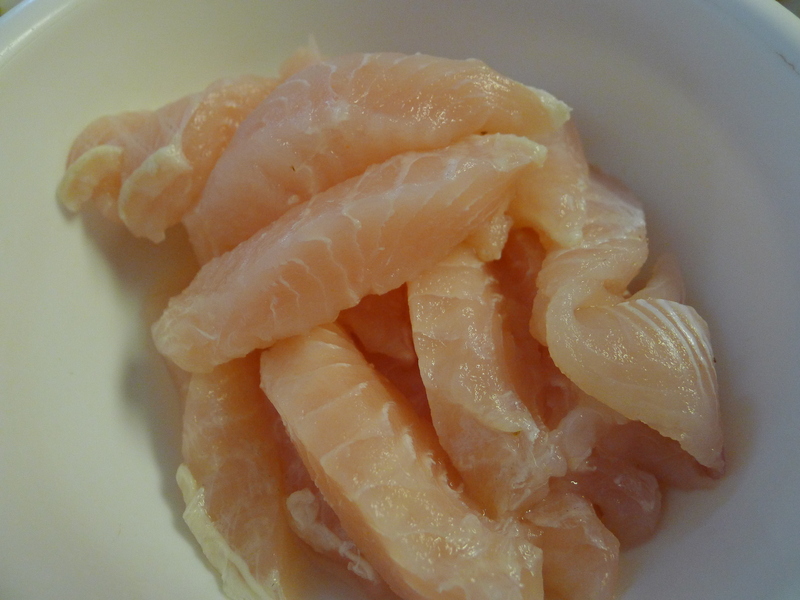 When the soup is boiling and radish is softer, put 2 Sole fillets ( sliced in 1/2 inch wide strips ). 5. Add 1/4 tsp sugar and salt pepper to taste. 6. Just when the sole is opaque throughout, add 1/2 cup diagonally sliced green onion , stir then turn off the stove. 7. Drizzle sesame oil and garnish with cilantro sprigs. That looks so, so good! I’m pinning it so I can remember to make it some time. you are welcome and thanks for checking the site.